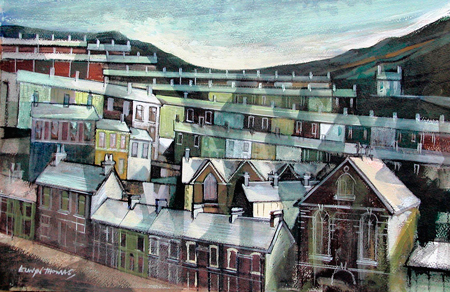 Following the sad loss of one of Rhondda’s most well known and much loved artists, Giles Gallery will be curating an exhibition of prints and original works by Elwyn Thomas this April. On display will be prints and original pieces from Elwyn’s own collection which will document his characteristic portrayal of nostalgia and community for which he is recognised and celebrated. The exhibition will also include previously unseen work including sketches and preliminary studies which provide an insight into Elwyn’s working method. There will be a chance to preview the work on Friday April 5th from 10am-5pm with refreshments. We will have a ‘Guest Book’ open for you to enter your memories or admiration for Elwyn and his Paintings.